A message of love from Israelis to Iranians sounds stranger than fiction in these tense years where Iranian and Israeli governments threaten each other with any imaginable words. Israel considers Iran a potential nuclear threat to its existence. Meanwhile Iranian leaders claim that their nuclear program is peaceful, but also call for Israel to be wiped off the map. 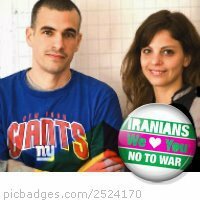 Both Israelis and Iranians are now uploading photos of themselves with the logo saying either “Iranians We love You” or “Israelis We Love You” and it has attracted the attention of Israeli media. For several people it is the first time they have communicated directly with either an Israeli or Iranian, and some Iranians voiced fears of repercussion from their government. To all the fathers, mothers, children, brothers and sisters. For there to be a war between us, first we must be afraid of each other, we must hate. I'm not afraid of you, I don't hate you. I don't even know you. 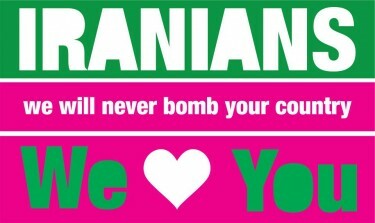 No Iranian ever did me no harm. I never even met an Iranian… Just one in Paris in a museum. Nice dude… I see sometime here, on the TV, an Iranian. He is talking about war. I'm sure he does not represent all the people of Iran… If you see someone on your TV talking about bombing you… be sure he does not represent all of us. To all those who feel the same, share this message and help it reach the Iranian people. Hi Pushpin, I am an Iranian lady. I just saw your warm and beautiful message to my country mates. Reading your message brought tears to my eyes and warmness to my heart. Just wanted to ensure you, we all Iranians feel the same, we just want peace and beauty on the earth, we hate war and slaughter, we all are the parts of one body and it hurts when you see a human suffering since she or he is a part of your soul. I have been always curious about you guys if you hate us, because I have been sure that the actual face of Iranians would not be introduced to you guys… All in all, just would like to thank you for your beautiful message and say that we all love you because you are our brothers and sisters. The only thing that matters is your beautiful heart not your culture, language, skin color, religion or homeland. 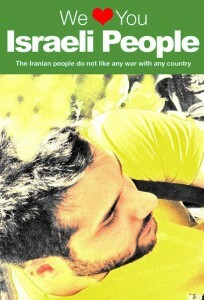 It seems this campaign is offering a real connection between Iranians and Israelis to share a message we can only dream for: love and peace in the name of mankind. This is beautiful. Makes me proud of our humanity. Ahmadinejad was quoting the Ayatollah Khomeini in the specific speech under discussion: what he said was that “the occupation regime over Jerusalem should vanish from the page of time.” No state action is envisaged in this lament; it denotes a spiritual wish, whereas the erroneous translation – “wipe Israel off the map” – suggests a military threat. There is a huge chasm between the correct and the incorrect translations. The notion that Iran can “wipe out” U.S.-backed, nuclear-armed Israel is ludicrous. Yes, it is easy for Israelis to say “No to war” – Israel never threatened to destroy Iran and a war would have only 1 aim – to protect the Israeli people from a country that has made it a goal to destroy it. Unfortunately, love messages from the Iranian public do not prevent Iran from funding terrorism and other acts of war against Israel. Avant d’en venir à la formule tristement célèbre en elle-même, il est important de noter que la « citation » en question était elle-même une citation – ce sont les mots du défunt Ayatollah Khomeiny, le père de la Révolution Islamique ……. 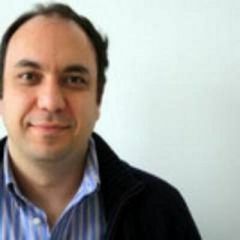 Il a seulement parlé du régime qui occupe Al Qods qui disparaîtrait comme le nazisme et le communisme de la page du temps. That was irony, of course. Sad how a message originating in a touching people-to-people contact that highlights the love of humanity and the universal desire to live in peace, can be turned into a vehicle for more hate and hate and fear (at a third target). Let us hope this Nowruz brings Peace and Light to the entire region (Arabs, Jews, Persians, Kurds, Armenians, Azeris, etc. ).